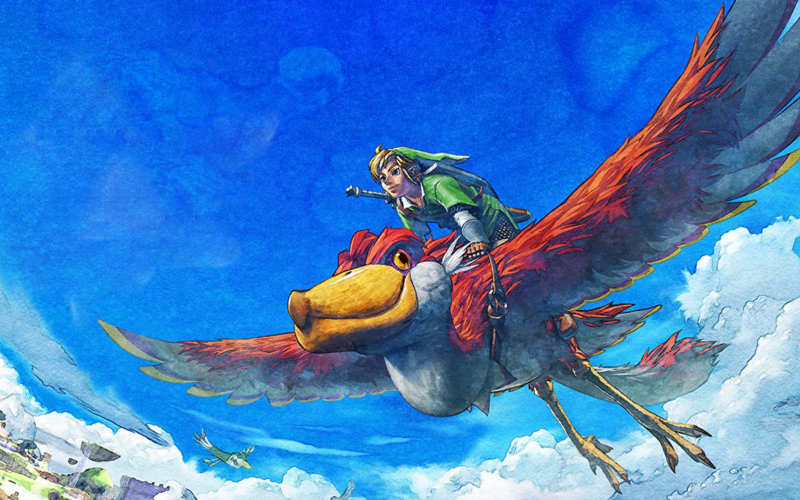 In our 14th of 15 podcasts covering The Legend of Zelda, we arrive at the most recent ‘big console’ game in the series (before 2017’s Breath of the Wild that is), Wii exclusive The Legend of Zelda: Skyward Sword. With the longest development time and the longest completion time up to this point in the series, has Nintendo’s 2011 critical smash stood the test of time, Wii MotionPlus controls and all? Leon, Michiel, Leah and Josh give their opinions on the matter, as do a number of the Cane and Rinse community, whose appraisals represent the full sweep from negativity to positivity regarding the game. Cane and Rinse 257 was edited by Jay Taylor (@JaySevenZero). Really love your work, I have one bone to pick. I would have preferred to send it over a private message or email,but I couldn’t find either, possibly out of my own lack of knowing this website. These issues and the sensitive nature of these topics. Again, by all means it’s your show but consider the time and place, and maybe start a social discourse podcast if this topic is bursting at the seems to be discussed. I think you’ve utterly missed the point of this podcast. Furthermore, nothing makes me more angry than people who advocate sticking their head in the sand when the state of the world is such that so many people in it feel more affected than they ever have been before. Should we be able to fall back on escapism sometimes? Absolutely. We’d go crazy if we didn’t. This isn’t that show, though. It never has been. And if you think otherwise, you clearly haven’t been paying attention. Saying “really love your work” and then descending into this disgusting lack of regard for anything that anyone else finds important, or relevant, or worrisome, or worth discussing, full stop, is not only short-sighted, it’s offensive. I’m pretty sure I speak for the entire team when I say that. If what you want is podcasters in a vacuum talking about games and nothing else, there are plenty of other shows out there for you. I suggest you find one. Thanks for the feedback CK. First off, I’m backing everything Leah just wrote. Secondly, your whiny, condescending complaining at least made me smirk since clearly you’ve not been listening for very long as we’ve always had plenty of ‘posturing’ regarding social acceptability etc.. Suffice to say, we’ll be ignoring your bellyaching and will continue to incorporate whatever political/social opinion in whatever “patronising” way we see fit in all forthcoming podcasts we produce. If you genuinely couldn’t care less about our thoughts on such matters, there’s no shortage of other podcasts out there that will, I’m sure, supply you with plenty of social/political free conversation, so please feel free to unsubscribe to us and go listen to them instead! I agree with Leah and Jay. Like any artistic medium, games can be used as a medium for social commentary and even if it’s not intentional can betray the thoughts of those designing it. I see no harm, particularly in a podcast as intelligent and thoughtful as this one, to explore and analyze themes and quirks of games that are presented. In fact, this is the sort of mature discussion that I adore about Cane and Rinse. In fact I would go further and say that it is impossible to create – or critique – any piece of art or entertainment without one’s own personal politics and feelings playing an integral part in that process. And even if it were, what would be the point? Criticism is always subjective and contextual, we have always been at pains to embrace this on Cane and Rinse and will continue to do so. Aye. It’s impossible to talk about a product of culture without contextualizing it in the culture that produced it and the ever-changing cultural context of the audiences receiving it. This is viewing art as a living medium — something that keeps classic works fresh and insightful rather than stagnant and limp. We should be clear up front — we’re far more interested in examining video games as art than consumer products, and art criticism means we have to inject an aspect of humanity into the discussion. The moral and civil values held by the developers *absolutely* shape the final product, and the moral and civil values held by audiences (contemporaneous or decades down the line) *absolutely* affect the way that a piece is read. Ignoring political and cultural contexts on either end would be criminally negligent, if we want to have an intelligent conversation about such matters. We appreciate the feedback, but I think you’re expecting our show to be something that it never set out to be. We aren’t here to review games, and “capital-O Objectivity” really has no place in academic arts history discussion, once you really start dissecting narratives. The fact that the C&R team are not afraid to broach such topics are precisely why I love this podcast and quite frankly their thoughtful analysis of games makes them stand out from the rest of the gaming podcast world. It always puzzles me when gamers clamour for games to be taken seriously as an art form but as soon as people analyse them as they would literature and film then it is all of a sudden too “political” and why can’t they just talk about game play and graphics instead? Well I’m sorry but you cannot have it both ways. Art has always reflected and touched upon the social and political culture in which it is created and critics have always analysed it in that lens. If you want to see games as art then it too will be put under a similar lens. Also this podcast has never been coy about where it stands politically so if it is not your cup of tea then maybe look elsewhere.